CNN Today with Amara Walker and Michael Holmes made a big move — to HLN’s Studio 7, which was formerly used for all of CNN Domestic’s dayside programming. Now, the studio is used primarily by Morning Express, Weekend Express, New Day Weekend, and CNN Newsroom‘s weekend edition, hosted by Fredricka Whitfield. The show had been airing abbreviated editions the past week while the anchor duo did rehearsals in their new studio. 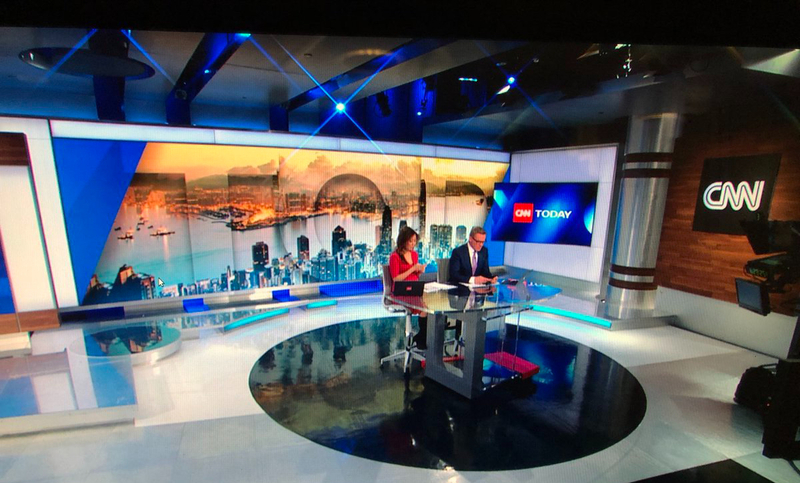 Previously, CNN Today aired out of CNN International’s main studio in the CNN Center.